Lets start with first snapshot i.e Installing of Backtrack . 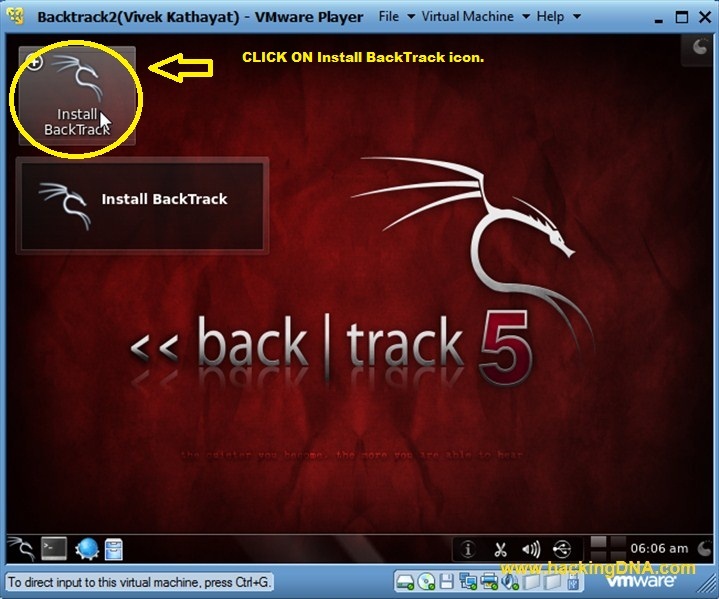 Step 1 :Click On Backtrack Icon. Step 3:Select your Time Zone and press Forward button. 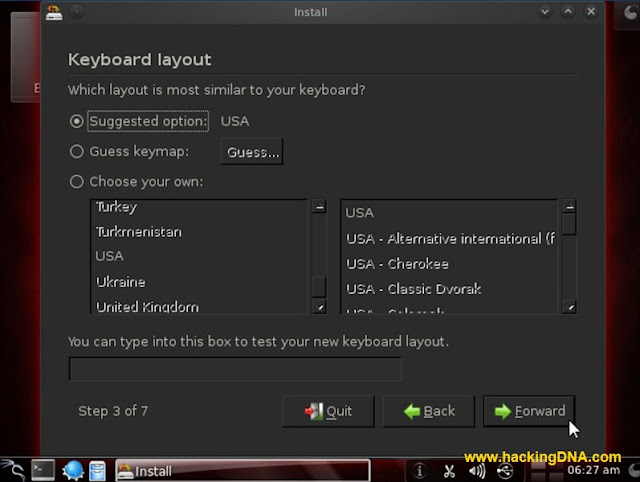 Step 4: Keyboard Layout: Select your layout and press Forward Button. Erase and use the entire disk : If you use this option it will delete your entire disk and installed Backtrack on your harddisk . Specify partitions manually (advanced) : If you opt this option then you have to create partition on harddisk . Step 6 : Click on Install Button : In this process no need to creating any partition on harddisk system will automatically created partition . / Partition (also called root ) : It is a partition where all Linux files are stored . /boot Partition : All the Linux Booting files are stored on Boot . swap Partition : It is a Virtual Memory . Your root created now . After creating /boot partition it will look like this image . Example : if i have 512 Ram then assigned 1024 mb of size. Press Install and start installation. 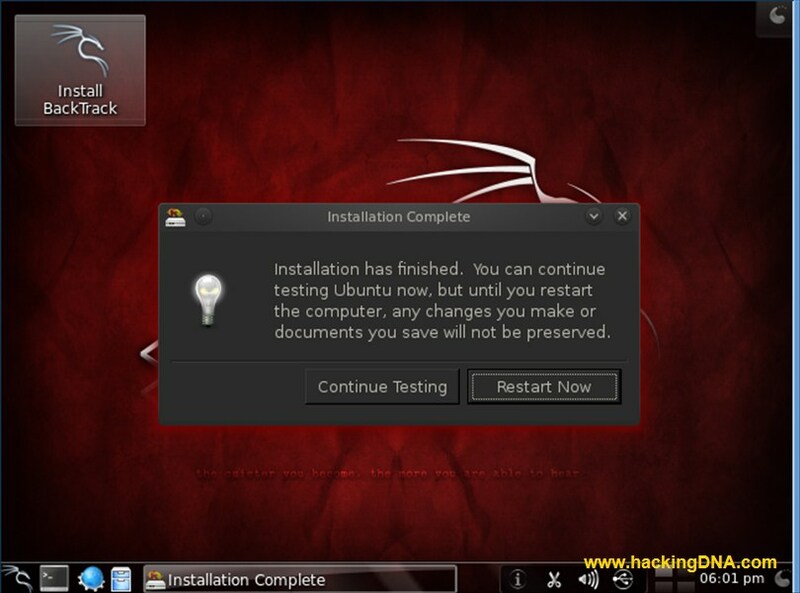 Installation Process : In the middle of installation you see this type of process going on . 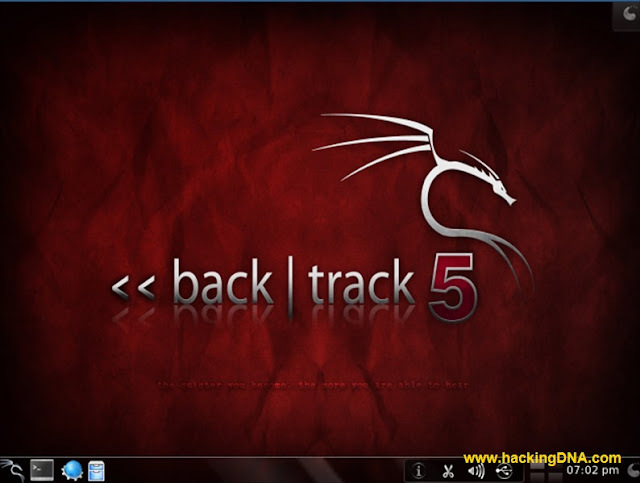 what is backtrack 5 KDE...is it different from Bactrack 5 R3??? where the download backtrack 5 .........??? Hello Friend, I'm Very Newbie To backtrack And Have A Question : Does Installing Backtrack Cause In Loosing All My Data. You can configure dual boot with your current operation system. But i would recommend using virtual box. www.virtualbox.org then you won't risk of losing data. 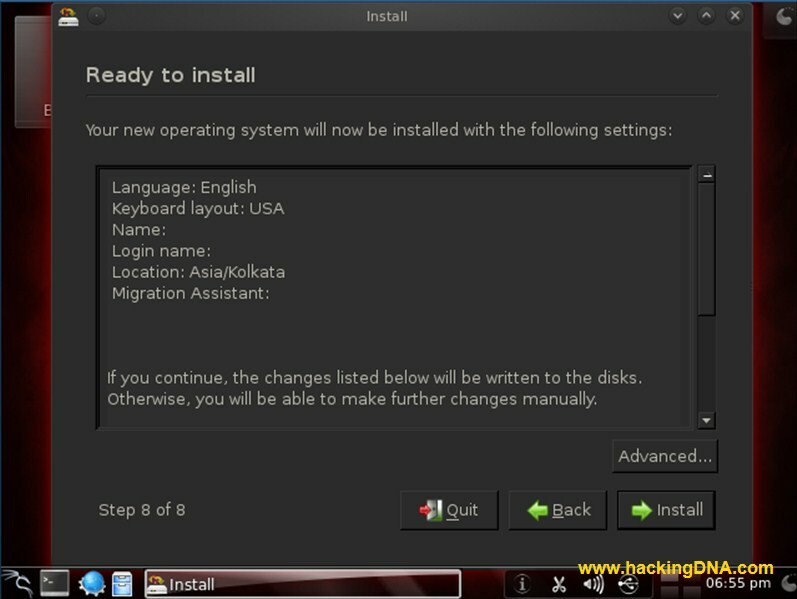 im download backtrack gnome. Now im using windows 7. 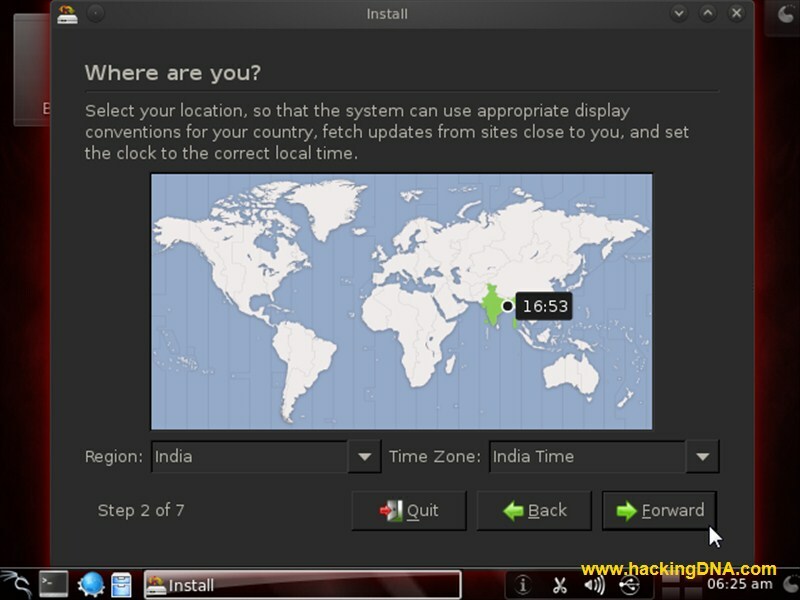 I want to know how to install backtrack using gnome. when i choose erase and use entire disk ,,it will erase my c drive or complete hard disk?? ;where do i gather this info from?